Heather’s passion for dog training started with fostering dogs for rescue. Over the last 10 years, she has had the pleasure of welcoming nearly 100 foster dogs through her home, and has been involved in running two rescue organizations. She has a passion for helping owners develop successful relationships with their canine friends, through motivational training, mutual respect and understanding. Heather is a CPDT-KA certified dog trainer. She is a member of the Association of Professional Dog Trainers, and has completed the Professional Dog Trainer Program at Best Friends Dog Training School. Heather also owns and operates a hobby farm just south of Ottawa, with a small menagerie of animals, including chickens (who are clicker trained, of course! ), and her two rescue dogs, Coby (an English Pointer) who is a certified trick dog, and Finn (a Great Pyrenees). When not working with animals, Heather is a program manager for a local charitable organization. Robyn provides behaviour consults and teaches private training sessions for issues related to house-training, handling sensitivity, leash manners, mouthing/nipping, general basic obedience and possessive behaviour. Robyn also provides post-adoption training for dogs with resource guarding tendencies. She was one of the founders and developers of obedience programs at the OHS. Robyn is a CPDT-KA certified dog trainer and holds a certificate in training and counselling from the Academy for Dog Trainers. In 2015, she was the Academy’s scholarship award recipient, which is given to trainers who improve the lives of shelter dogs through force-free behaviour modification. 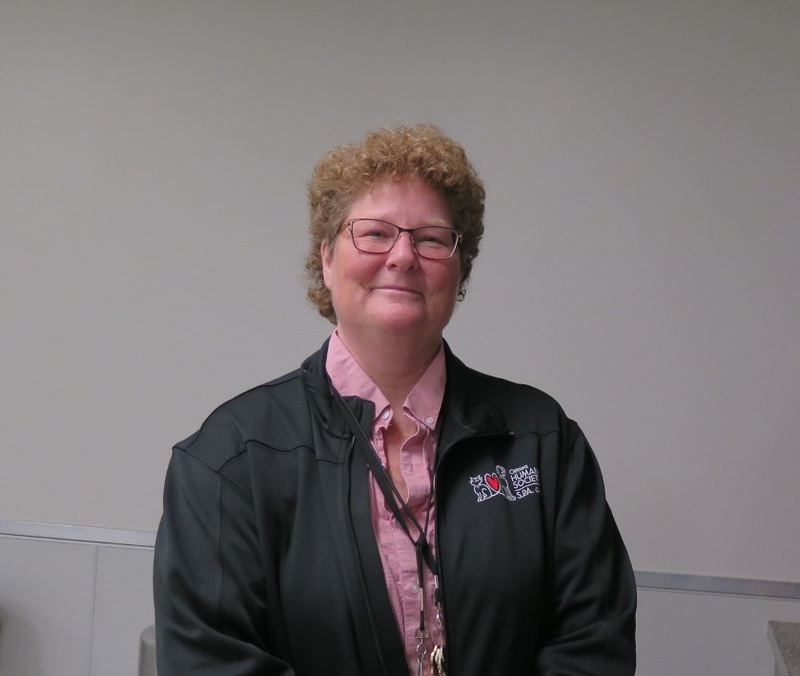 Before training professionally, Robyn was a hockey coach at the University of Ottawa and completed a Master of Science degree at the University of Alberta. Robyn has two dogs, Karma (a husky) and Journey (a pointer), who love to be on the move. 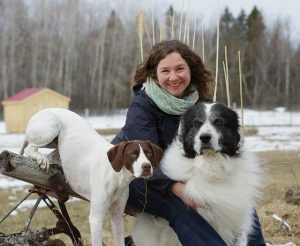 Her dogs compete in skijoring, agility and rally obedience. Nancy has worked as a professional dog trainer since 2005 teaching all levels of obedience classes from puppy basics to advanced skills. Nancy was one of the founders and developers of obedience programs at the OHS, including the recently launched Behaving Buddies workshop series. Nancy also teaches a variety of seminars for pet owners, such as, the OHS Don’t Blame the Dog seminar. In addition to her work as an obedience trainer, she is also an OHS volunteer with both the Canine Enrichment and Humane Education programs. She can also be found teaching classes in rally obedience, tricks and games, and therapy dog preparation. 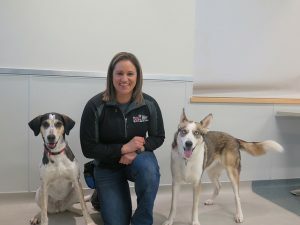 She has a passion for animal-assisted therapy activities and has worked for many years assisting with therapeutic horseback riding programs before moving to therapy work with her dogs. She has been an active member of a therapy dog program since 2003 bringing the love and comfort of a canine companion to people of all ages and abilities. Besides their therapy work, Nancy’s own dogs have titled in several dog sports such as rally obedience, scent detection, ratting, tricks and agility.